We are a 1:1 ipad school and I love it! I have found many uses for technology in my classroom - see previous posts about using google slides, Crossword Puzzles, etc. But one thing I never thought I would use is a Discussion Board. 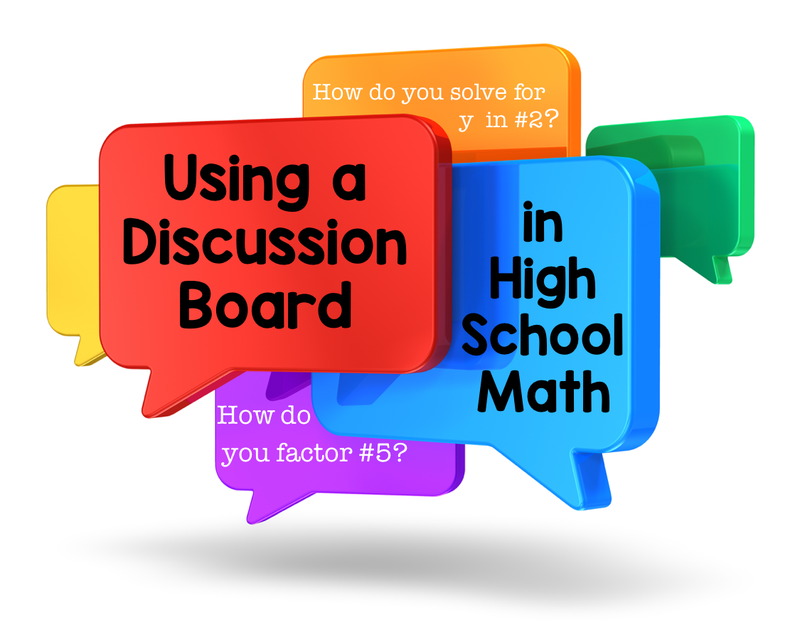 I can see the value in a discussion board in an English or History course, but I didn't really feel that it would be something I would use in my high school math class. Until...one day right before exams I gave a review guide and I did not have time to go over the entire thing. [It was a great review guide if I do say so myself : ) ] I really wanted my students to do it and they needed a little extra credit...so I decided to try the discussion board that we have in our LMS (Learning Management System) - we use Schoology. 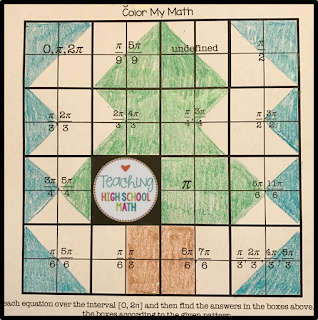 I give my students a page each week to help them review math concepts that we are learning or have learned in the past. Sometimes it is fun to switch things up and give them a puzzle to work while sneaking in some review! 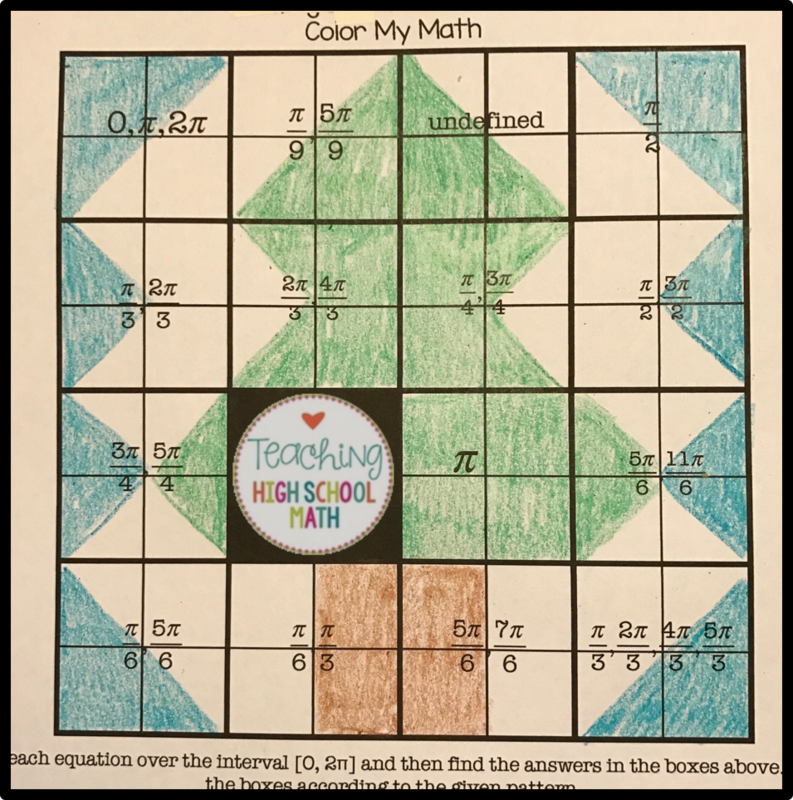 I have created some new puzzles for students to work on that I am calling Color My Math. These puzzles have 15 math problems at the bottom of the page. When students solve these problems, they can find their answers in the boxes at the top of the page. They color each box according to the code at the bottom of the page. Fun pictures or patterns result.